Audit Representation | DNN Tax Service, Inc. It is hard to feel at ease when you are being audited, but we will be there to offer you support and advice based on our decades of experience. In many cases, the IRS is satisfied once you simply provide the proper documentation to clear up any questions about your tax return. If it turns out you made a mistake, you might owe some money, plus interest and penalties. We can help you through this process, answering your questions and reducing your stress at this time. 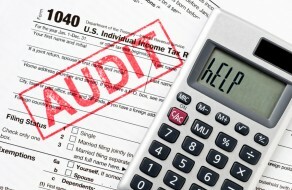 If you feel the IRS is incorrect during the audit, we can help determine if you should appeal the decision. No matter what happens, we are on your side and can provide you with accurate, up-to-date answers since we are in communication with the IRS just about every day.